Charles Townshend, 2nd Viscount Townshend (1675-1738), Statesman and agriculturalist. Sitter in 6 portraits. Notorious thief and jailbreaker John 'Jack' Sheppard is hanged at Tyburn. General George Wade is sent to inspect Scotland, initiating an 11-year program of road improvement and bridge building in the Scottish Highlands. First of Jonathan Swift's Drapier's Letters is published; one of seven pamphlets railing against the debasement of Irish coinage. Blenheim Palace is presented as a gift to the Duke of Marlborough for his involvement in the Battle of Blenheim in 1704. 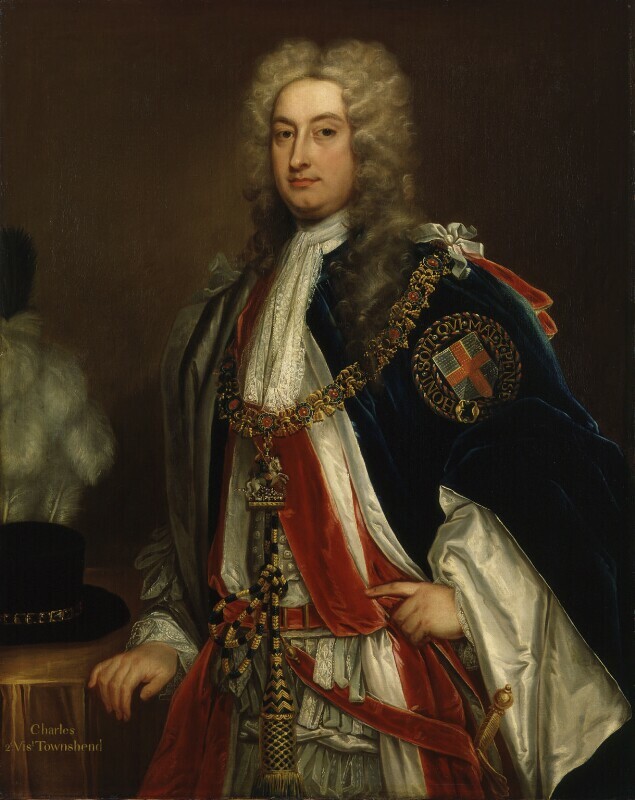 Thomas Pelham-Holles, 1st Duke of Newcastle becomes Minister of Foreign Affairs. Pope Benedict XIII succeeds Pope Innocent XIII as the 245th pope. King Philip V of Spain abdicates the throne.